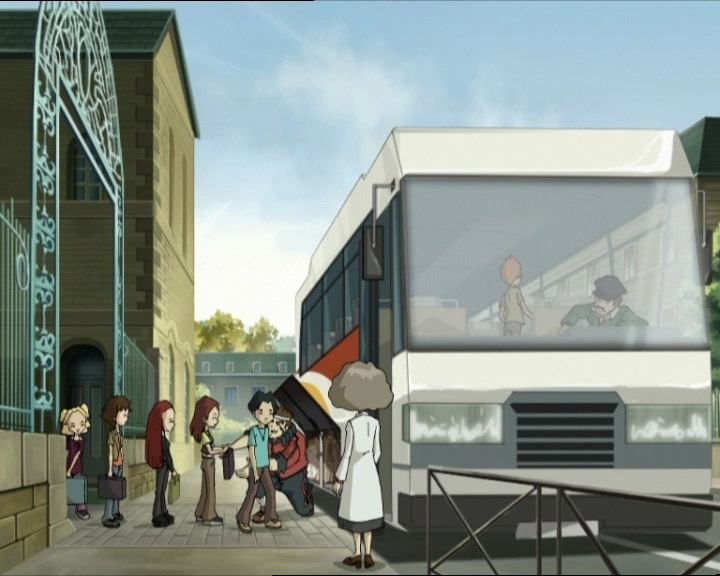 The episode begins outside Kadic Academy: agitation reigns as the students board the bus. What’s on the agenda is a camping weekend for the year 9 classes with Jim and Ms Hertz. That same Jim is in the middle of, as usual, maintaining order and giving instructions! Large bags in the baggage compartment under the bus, handbags on the bus! Odd is heckled while trying to sneak a large bag onto the bus. Luckily, while the Lyoko Warrior makes up a ridiculous excuse, Jim’s attention is caught by something else: Sissi, trying to take everything she’d need to survive a war, for only two days! Using her status as principal’s daughter, she manages to keep most of her baggage ad even her bike, despite Ms Hertz’ objections. On the bus, Kiwi unfortunately barks and Jim sees him, as well as his collar which indicates that he belongs to Odd. He promises the boy an interview with the principal when they get back on Monday. This incident doesn’t tarnish the outing however: the campsite is magnificent. The heroes row across the lake in dinghies to pitch their tents on the island they will be spending two days on. The only problem for the group: Jeremy has no connection in this isolated area… He worries, especially because he launched a new program before leaving. To reassure him Aelita calls Yumi using the little reception she has on her mobile phone. Yumi is stuck at the school for Saturday morning classes. The poor Japanese girl is subjected to two tests and her only company is William’s clone. The maths test is now over, but she is now in charge of going to check on XANA from time to time. Following a natural urge, she leaves grumbling in the direction of the factory, before her French test. 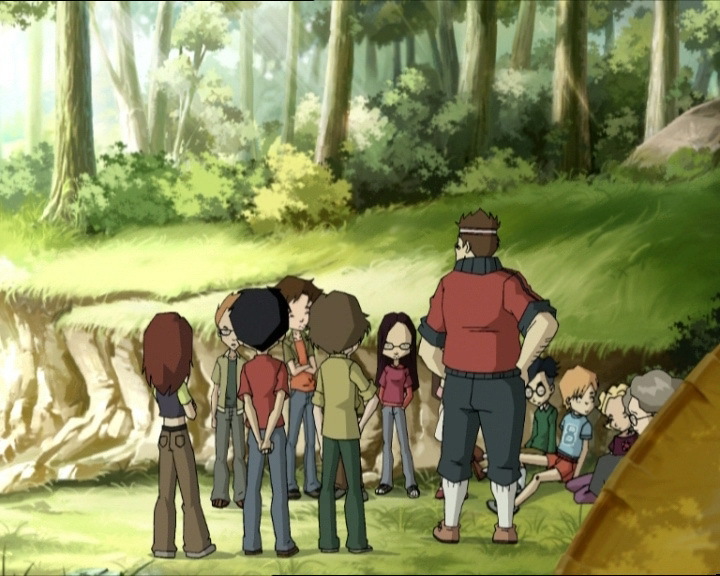 Near the lake, Aelita loses reception; the heroes are really cut off from the rest of the world. 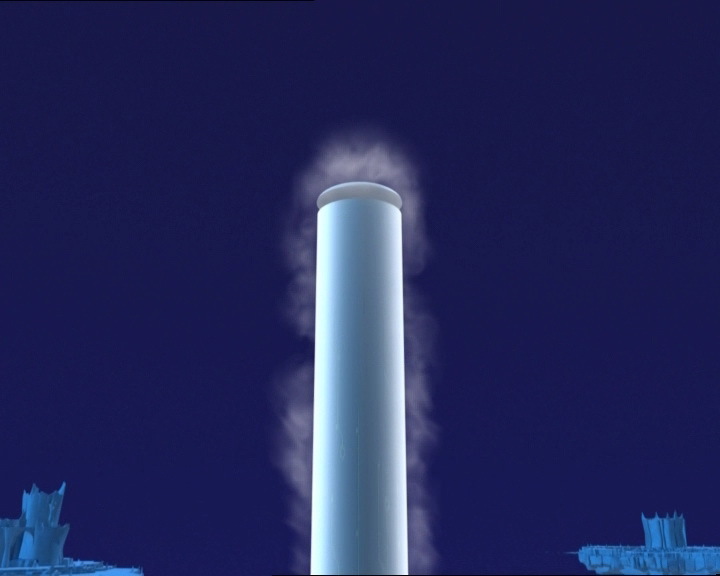 Arriving at the factory, Yumi realises that she is bound to fail her test, a tower is activated in the Ice Sector! William and two Krabes arrive to protect it. 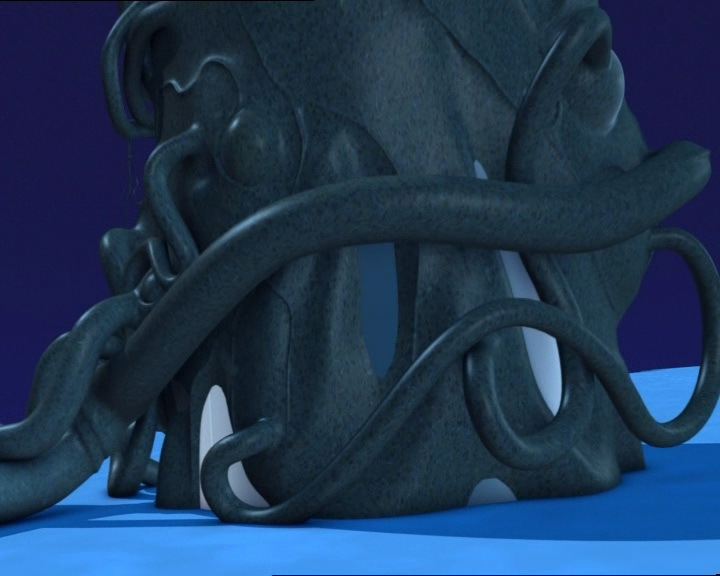 In Sector 5, the Scyphozoa makes its reappearance and starts to absorb the Skid’s shield energy with its tentacles. Ulrich and Odd search for a way to escape the aquatic prison they’re on without falling victim to the monster. 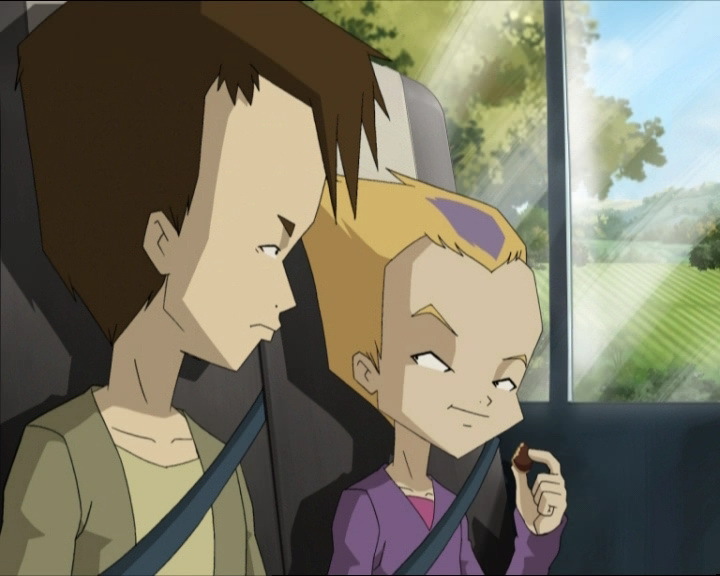 On their end, Aelita and Jeremy construct an antenna. The operation is a success and Jeremy logs on, and then connects to the factory. 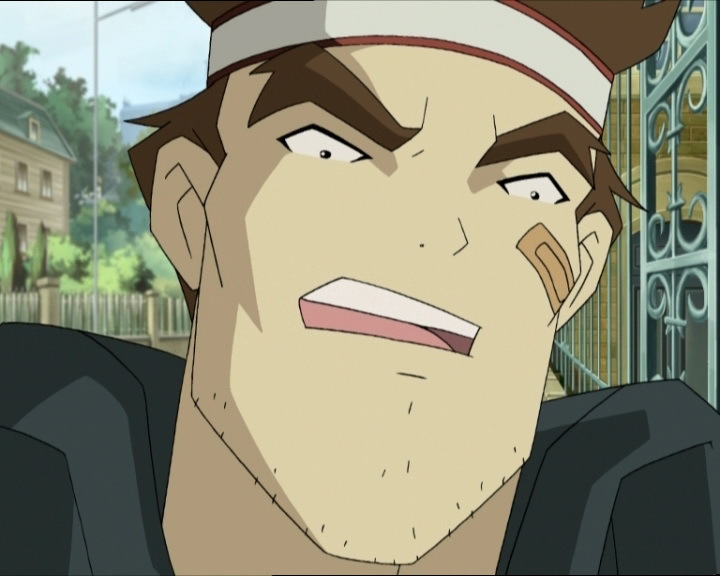 He tries to guide Yumi into launching a new program he and Aelita prepared…unsuccessfully. He then orders the Japanese girl to virtualise herself into the Ice Sector and clear the passage. She does so. The operation wasn’t a complete fiasco, however. In Ulrich’s dinghy, a tarp lifts up, revealing Aelita hidden underneath. Taking Sissi’s bike, she cycles to the factory. A lightning bolt then fries Jeremy’s computer. However the brainiac hasn’t said his last word: he invites everyone to refuge under the antenna, which they can use as a lightning rod. The students are sheltered, but for how long? Yumi is violently thrown out of the tower by William. She defends herself as best she can, but her fans don’t do much against William’s powerful sword, and even when William is disarmed he uses his Supersmoke as a weapon, dominating the fight. 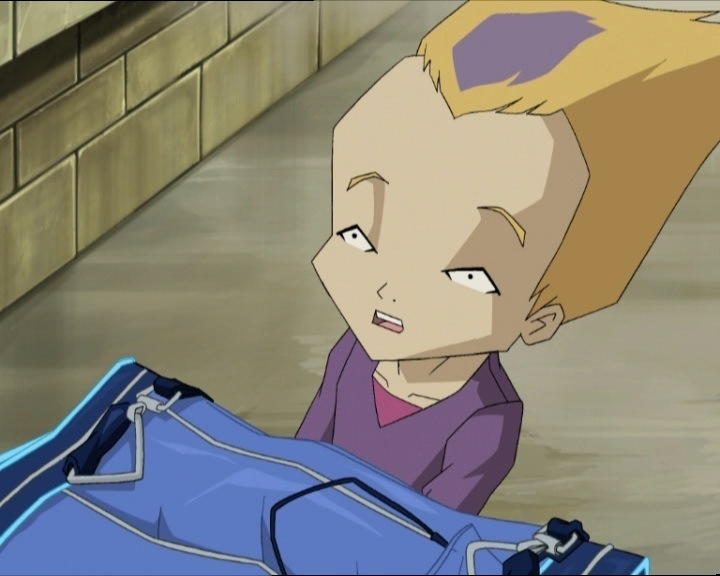 He prepares to devirtualise Yumi, but she begs him to stop and reminds him that he was a Lyoko Warrior. He swore to it. Memories begin to assault William. He sees himself back on Earth, swearing to fight XANA. The XANA Warrior is tortured. He holds his head, crying out in pain. He appears torn in a mental battle. Yumi approaches to try and help him. 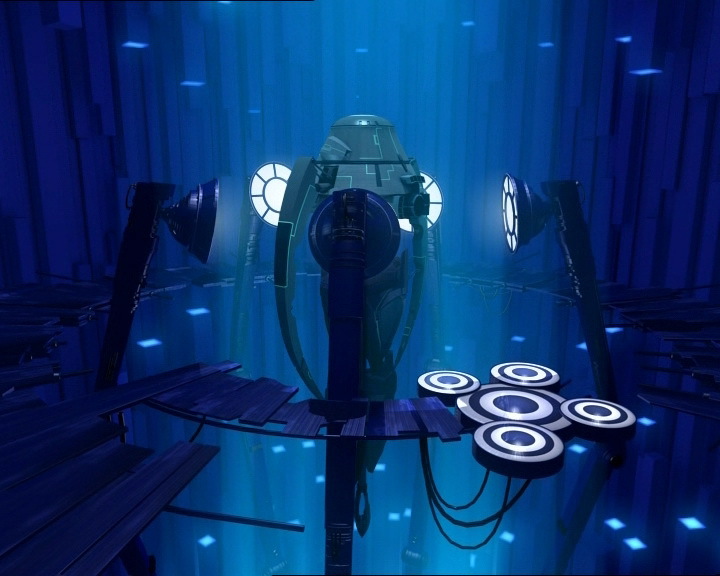 Aelita arrives at the factory and launches the famous program: it can boost the Skid’s shields. The four Way Towers activated with a green halo, and a powerful shield generates around the Skid. The Scyphozoa is violently blown away and falls to the ground. We only see but its tentacles fading away… Is the monster dead? Aelita doesn’t ask and prepares a delayed virtualisation. In the Ice Sector, Yumi believes she has found her friend William again…but XANA wins the battle. William whacks Yumi, seizes his weapon and prepares to deal the final blow. One of Aelita’s energy fields stops him just in time. Yumi tells Aelita about what happened, and the pinkette assures her that it proves they’ll bring William home someday. She then enters the tower. 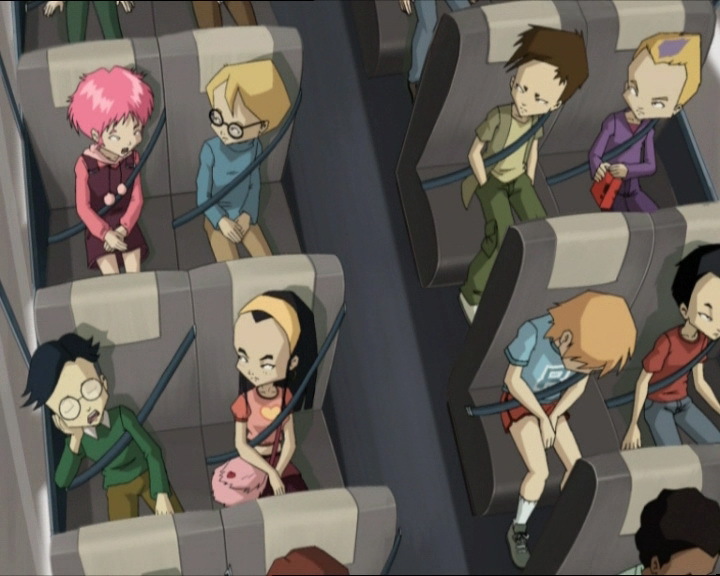 The types in the Code Lyoko, saving the students threatened by an overload of lightning. Yumi, back on Earth, launches a return in time. 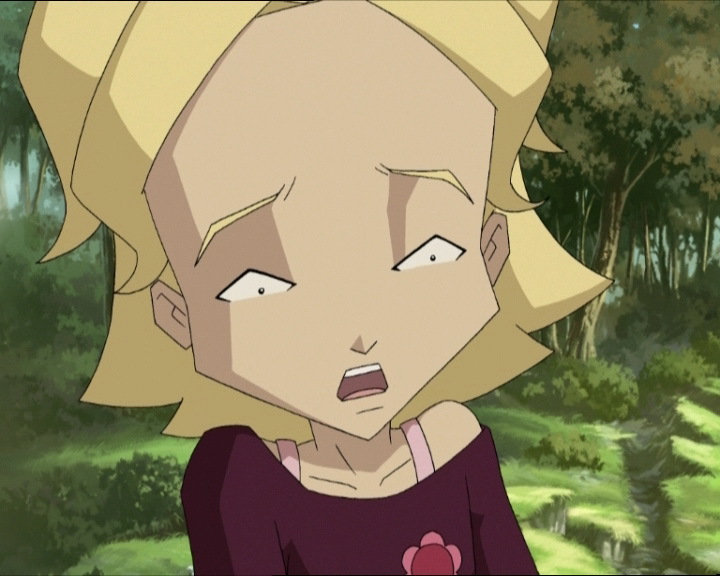 The Lyoko Warrior couldn’t be more disappointed… She really thought William had returned. Back in time, the heroes set off on the school bus again. XANA won’t launch the same attack, plus Jeremy and Aelita have worked hard to earn a holiday (they both blush while thinking this). - Attack: Send a spectre into a lake to create a black cloud capable of sending out electrical discharges. - Return to the past to erase the memories of the students, Mrs. Hertz and Jim as well as to cure the victims of the electric shocks. - Hypothetical death of the Scyphozoa. - Second time Yumi is injured by her own fan. - Second time Aelita defeats William. - Jim reminds us that he was a forest ranger in Quebec and that he saw electric eels there! He also lived in a teepee in the desert of New Mexico. - During two shots on the bus, the seatbelts change. - The heart on Sissi's shirt disappears during a shot on the bus. - Jim's band-aid is on the wrong cheek during a shot on the bus. - Return of the old Earth outfits…and for the last time. - Creation of a new program by Jeremy and Aelita to protect the Skid using the Way Towers. - First multiple activation of towers by Jeremy (with green halos)! - First appearance of the Scyphozoa in season 4. - First time William enters a tower. - First time Yumi devirtualises herself. - First time one of Yumi's fans enter a tower. - First time William says “Supersmoke” to use it. - First time William seems to break free of XANA's control. - William's flashbacks come from episode 65 “Final Round”. - Final episode aired in the USA before in France! From episode 77 onwards, the French saw the episodes first! - The biscuits Odd eat are inspired by the famous Pépito brand in France. They are commonly known as digestive biscuits or Wheatens in English. - Odd: “Hey Benjamin Franklin…”. Benjamin Franklin was an American writer, physicist and diplomat who lived in the 18th Century, well-known for his work on electricity. Jim: Della Robbia! Weren’t you listening? You gotta store the suitcase! Odd: You said that carry-on was ok! Look, I’m carrying it! Jim: Ehh…Sissi! What’re you doing with all that stuff? Sissi: It’s my baggage, Jim! Jim: You were told only to take what was strictly necessary! Now get a move on and take all that junk back to your room! Sissi: But Jim, my party dresses, my shoes, and all my make-up, I can’t possibly go without them, and my hairdryer too! Ms Hertz: Now listen Elisabeth, this is a camping trip, and it’s only two days. Your bicycle too should be left at home! Sissi: Do you want me to tell the principal, my father, that sports activities are being discouraged on school trips? Yumi (on the phone): Not one, I’ve got two tests today! You lucky dogs, I wish I were on that bus with you. Ulrich: I’d love to sneak you on, but we’ve got a lucky dog already! Odd: Oh, imagine that! It must be that stray dog that everybody saw running around near the campus, he sneaked on the bus, I guess! Jim: You went and bought him a collar marked “Della Robbia”. Odd: No, it’s uh…it’s just a coincidence! Jim: All animals are forbidden anywhere and everywhere on school grounds! Odd: Uh that’s great, because we’re not at school now, are we, Jim? Yumi: You’re lucky, as a computer program, this math test should be a real piece of cake! William clone: What’s a math test and a piece of cake? Ms Hertz: In short, an ecosystem unequalled in the region, and you are looking right at it! Sissi: What? That microscopic island is where we’re gonna camp?! Ms Hertz: If you think that’s small, wait until you see the rubber dinghies! Yumi: Inferno here, everything ok in paradise? Jim: Actually, that reminds me of when I was living in a tipi in the desert near New Mexico. Ms Hertz: Jim, this might not be the right time. Jim: You don’t know what you’re missing, Suzanne! Sissi: Ulrich honey, I thought maybe we could pitch our tents side by side so we could talk together tonight! Ulrich: Uh, sorry Sissi, but I didn’t come camping to gossip or talk about clothes, I’d rather sleep. Herb: Hey Sissi! Well I would be glad to set my tent up next to yours for tonight! Herb: Really?! Oh, that’s fabulous! Fantastic! I uh…uh…by the way, where’s your tent? Sissi: Right there! Let me know when you’ve set it up! Ms Hertz: So, in your opinion, what would happen if the lake dried up? Nicolas: Uh, we would be able to walk home? Yumi: Oh no, that’s all we need! The lady killer! Jim: That’s the first time I’ve slugged someone without getting a reaction! Sophie Florenceau: You have to give her mouth-to-mouth! Ms Hertz: Jim! You come even a hair closer and it’s the last thing you’ll ever do on this earth! Odd: Jim! Help me, Jim! It’s my dog! He’s in terrible danger! Only you can help me save this poor, defenceless animal, Jim! Jim: That’s…that’s that sneaky Ulrich Stern! Jim: C’mere, you slimeball! You don’t scare me! I’ve got rubber-soled NASA-issue astronaut space shoes! Yumi: You can never beat us, XANA! Yumi: No, William! 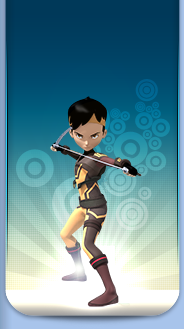 You’re a Lyoko Warrior, you swore to it! Aelita: Just in time. 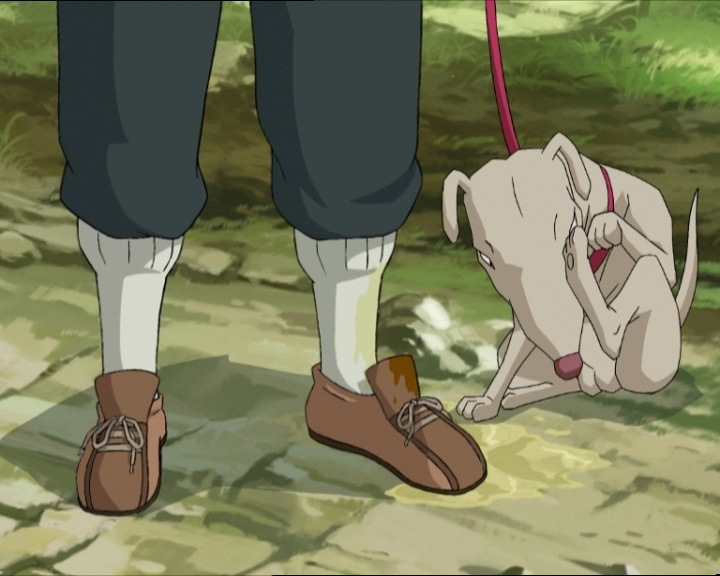 Is something wrong, Yumi? Aelita: That means we’ll bring him home someday. Odd: Hey, how come you’re so cool all of a sudden, Einstein? XANA attacks don’t scare you anymore? Ulrich: Hey, what’d you do with Kiwi this time? Odd: Well, let’s say that I found him somebody who learned what a dog’s life really means. Yumi: C’mon Kiwi, hurry, I have to get to my exam!